When you think of the greatest composers to have ever walked the earth, Mozart is a name that comes to mind instantly. Whether you’re a fan of his already and want to explore more of his work or are completely new to classical music and want to start with the best, a compilation album the way to go. 99 Must Have Mozart Pieces is an album focused just on the famous composer and it features a great mix of his most popular songs along with those you might not have heard. If you’re looking for the quintessential Mozart experience, this album is the one for you. Cobra Entertainment is known for releasing spectacular compilations based on the great composers, and 99 Must Have Mozart Pieces is their dedication to the Austrian composer. This album features 99 songs that range from unknown to popular and everything in between. This is constantly rated one of the better Mozart albums found online due to the way they’ve managed to put his most popular works there but also add lesser known ones. This makes it perfect for those who want to explore the famous composer further but don’t know where to start. Within this set, you’ll find many original works that aren’t on other compilations, but for the most part, they are simply excerpts of larger pieces. For those wanting to hear the complete thing, you may need to search for a more substantial album. To get this album at an affordable price and easy to download, the best place to go is Amazon. They have it listed for just over $2 in an MP3 format which is amazing value for 99 songs. It would have been good to see a few more options here, like a CD format or even streaming availability, but for $2 it’s still a fantastic price. To truly appreciate the wonder of Mozart, you need an album like 99 Must Have Mozart Pieces to see his capabilities. 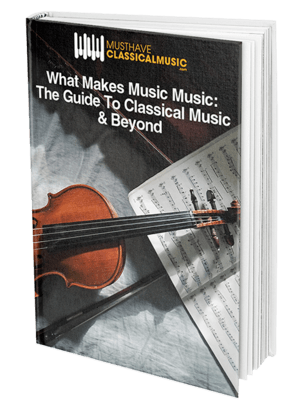 This is a great choice for beginners and experts in classical music, so click here to add it to your collection.